Congratulations General Petraeus on your new calling and we wish you and the troops much success in seeing your mission in Afghanistan/Pakistan successfully through. Right man for the right job!!! 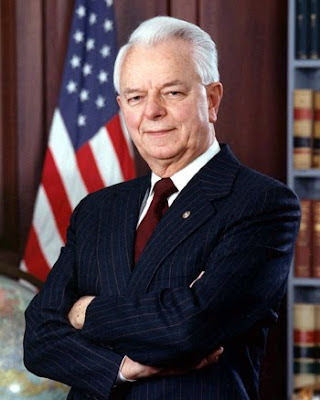 West Virginia Senator Robert Byrd died early Monday morning at the age of 92. He was Senator from January 1959 until today and was the longest-serving congressional lawmaker in U.S. history. He died at approximately 3 a.m. at Inova Fairfax Hospital. About this video: The top U.S. commander in Afghanistan has been called back to Washington to explain controversial comments he and his aides made for a Rolling Stone magazine article. In the article, the general and his subordinates mock several officials in the Obama administration, including the Vice President and the National Security Adviser. The apology comes just before a US Congress gathering to discuss the budget report from Afghanistan. 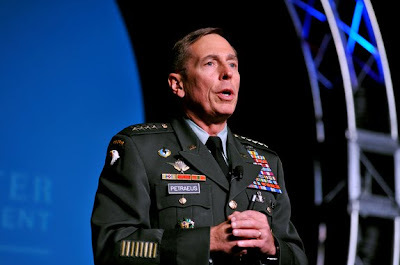 General McChrystal Out - General Petraeus In . All in all I’d say General McChrystal screwed up big time in many ways and President Obama handled this situation VERY well and above the fray. General Petraeus is the right man for the right job too! Job well done Mr. President... and I don’t say that often either! * Photo for the Day * [U.S. 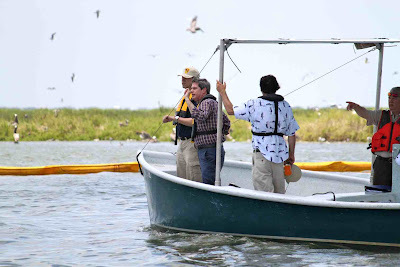 Senator David Vitter from Louisiana] recently joined a Congressional delegation with some fellow members of the Senate Environment and Public Works Committee to assess the damage to our coast from the ongoing oil spill. [He] reminded [his] colleagues of the fragile state of our wetlands and urged them to help ensure that Louisiana has everything it needs to recover from this disaster. KICK them FEET back BOYS!!! President Obama insisted that under his health care bill, "if you like your plan, you can keep your plan." But it turns out that many health insurance plans will soon be changed under the Obama health care bill. The New York Times reported in an article on the health care reform bill that "some people, especially those who work at smaller businesses, might face significant changes in the terms of their coverage." ObamaCare requires many health insurance plans to comply with new federal government regulations. Many Louisianans get their health care from their employer, but if those health care plans do not comply with the new federal rules, they will lose their protected status and fall under new regulation. In fact, the Obama Administration's own projections estimate that most small business workers will lose their protected status and have to obtain new, costlier coverage as a result of this new federal regulation. I remain committed to reforming health care with measures that truly make health care more affordable through clear and concise solutions without threatening our nation's prosperity and freedom. The American people won't stand for this government takeover of health care, and I will continue to fight to repeal it and reverse the damage. * Photo for the Day * Sean Holmes, chief gunner's mate, from Houston, Texas, left, and Petty Officer 1st Class Bruce Smith, gunner's mate, from Greensboro, N.C., far right, instructs Culinary Specialist Seaman Phillip Stidum, from Memphis, Tenn., on the MK-38 25mm machine gun during a weapons exercise aboard the guided-missile frigate USS Taylor. Taylor is participating in Operation Active Endeavor in the Mediterranean Sea. WASHINGTON - It has been a tough week in Afghanistan with 23 servicemembers killed in attacks since Monday, [last week], including four killed when their helicopter was shot down in Helmand province, June 9th. Operational tempo for NATO International Security Assistance Forces in Afghanistan is at an all-time high. 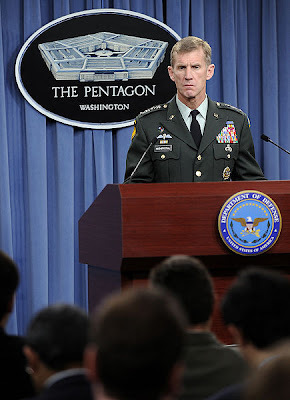 "There are more ISAF forces [in Afghanistan] than at any other time, so the level of activity is high and I think as we conduct our operations and engage with the enemy, obviously the opportunities for hostile contact have gone up," Pentagon spokesman Bryan Whitman said, June 9. There now are about 94,000 U.S. servicemembers in Afghanistan with 48,000 allies. The number of U.S. troops in Afghanistan will grow to about 98,000 by September. The number of NATO and other allied troops also will increase. NATO troops are entering areas in Afghanistan where they previously have not been. In cases such as in Marja, Helmand province, the Taliban had established a shadow government to rule the area and intimidate the people. The oncoming summer season is the traditional battle time in Afghanistan. Winter is over and snow has melted in the passes. Crops have been sown and – in the case of poppies – harvested. "We have active operations going on in Afghanistan and we have more forces there than we've ever had," Whitman said. "It is a period of time in which you'll see the Taliban try to conduct their own operations. While we conduct our operations carefully and try to mitigate the risk in all our operations, the fact of the matter is that we have taken casualties and we've taken quite a few this week. It's been a tough week." U.S. and NATO commanders have stressed the importance of the civilian component in operations in Afghanistan. Civilian experts are key to economic and governmental progress. The number of civilian experts in Afghanistan has risen and they are providing the advice and guidance the country needs. For example, the U.S. State Department has more people in Afghanistan than it ever has, Whitman said. "If you talk to our military commanders, they are having a significant impact," he said. "We finally have some much more robust resources in that regard and they are having an effect." The strategy in Afghanistan takes into consideration the differences among the different parts of the country. For example, Kandahar is a large city with a diverse population. It was the spiritual home of the Taliban and the home of Mullah Omar, the Taliban chief. Marja is a rural agricultural center. Consequently, there are differences between the kinds of actions conducted in Marja, and those underway in Kandahar. Each operation is assessed by battlefield commanders and the actions they take are dictated by the situation on the ground. However, the overall strategy of clear, hold and build applies to operations conducted in both Kandahar and Marja. This means that in both places the idea is to clear the area of the Taliban, hold the area so the group cannot get back in, and build the economic structure. How this occurs will be tailored to the specific area. Officials continue to say there will not be a "D-Day" for military operations in Kandahar. In fact, the offensive against the Taliban there is underway. About this video: U.S. geologists have discovered vast mineral wealth in Afghanistan, possibly amounting to $1 trillion, President Hamid Karzai's spokesman said Monday. * Photo for the Day * U.S. Army Staff Sgt. Michael Baldwin shakes hands with an elder in the village of Shesh Khala in the Logar province of Afghanistan June 1, 2010. Baldwin is assigned to the 401st Military Policemen (MP) Company, 720th MP Battalion, 89th MP Brigade. About above video: ... IDF Naval Forces board six ships attempting to break the maritime closure of the Gaza Strip. This happened after numerous warnings from Israel and the Israeli Navy that were issued prior to the action. 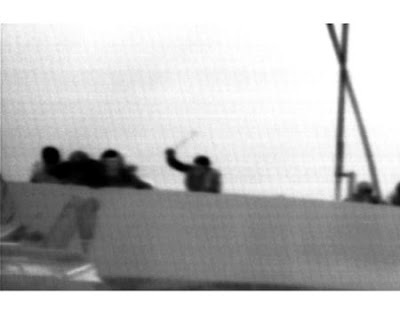 The Israel Navy requested the ships to redirect toward Ashdod where they would be able to unload their aid supplies which would then be transferred over land after undergoing security inspections..During the boarding of the ships, the demonstrators onboard attacked the IDF Naval personnel with live fire and light weaponry including knives and clubs. Additionally one of the weapons used was grabbed from an IDF soldier. The demonstrators had clearly prepared their weapons in advance for this specific purpose..As a result of this life-threatening and violent activity, naval forces employed riot dispersal means, as well as live fire..According to initial reports, these events resulted in the deaths of nine demonstrators and seven naval personnel were injured, some from gunfire and some from various other weapons. Two of the soldiers are moderately wounded and the remainder sustained light injuries. All of the injured, Israelis and foreigners have been evacuated by helicopter to hospitals in Israel..Reports from IDF forces on the scene are that it seems as if part of the participants onboard the ships were planning to lynch the forces..The interception of the flotilla followed numerous warnings given to the organizers of the flotilla before leaving their ports as well as while sailing towards the Gaza Strip. In these warnings, it was made clear to the organizers that they could dock in the Ashdod sea port and unload the equipment they are carrying in order to deliver it to the Gaza Strip in an orderly manner, following the appropriate security checks. Upon expressing their unwillingness to cooperate and arrive at the port, it was decided to board the ships and lead them to Ashdod..IDF naval personnel encountered severe violence, including use of weaponry prepared in advance in order to attack and to harm them. The forces operated in adherence with operational commands and took all necessary actions in order to avoid violence, but to no avail. Early this morning, IDF Naval Forces boarded six ships attempting to break the maritime closure of the Gaza Strip. This happened after numerous warnings from Israel and the Israeli Navy that were issued prior to the action. The Israel Navy requested the ships to redirect toward Ashdod where they would be able to unload their aid supplies which would then be transferred over land after undergoing security inspections..During the boarding of the ships, the demonstrators onboard attacked the IDF Naval personnel with live fire and light weaponry including knives and clubs. Additionally one of the weapons used was grabbed from an IDF soldier. The demonstrators had clearly prepared their weapons in advance for this specific purpose..As a result of this life-threatening and violent activity, naval forces employed riot dispersal means, as well as live fire..According to initial reports, these events resulted in the deaths of nine demonstrators and seven naval personnel were injured, some from gunfire and some from various other weapons. Two of the soldiers are moderately wounded and the remainder sustained light injuries. All of the injured, Israelis and foreigners have been evacuated by helicopter to hospitals in Israel..Reports from IDF forces on the scene are that it seems as if part of the participants onboard the ships were planning to lynch the forces..The interception of the flotilla followed numerous warnings given to the organizers of the flotilla before leaving their ports as well as while sailing towards the Gaza Strip. In these warnings, it was made clear to the organizers that they could dock in the Ashdod sea port and unload the equipment they are carrying in order to deliver it to the Gaza Strip in an orderly manner, following the appropriate security checks. 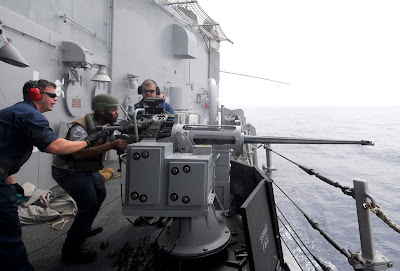 Upon expressing their unwillingness to cooperate and arrive at the port, it was decided to board the ships and lead them to Ashdod..IDF naval personnel encountered severe violence, including use of weaponry prepared in advance in order to attack and to harm them. The forces operated in adherence with operational commands and took all necessary actions in order to avoid violence, but to no avail.